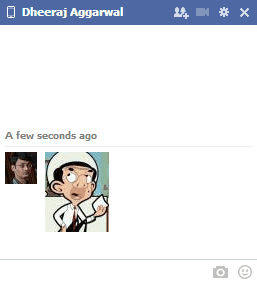 I earlier wrote an article for sending pictures of Superman, Mr Bean, Jack Sparrow and other cartoons over Facebook chat. The post was appreciated by many, but unfortunately the codes have stopped working now. 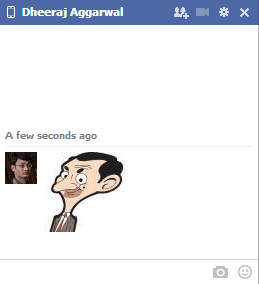 Many people requested the code for Mr Bean on Facebook chat. 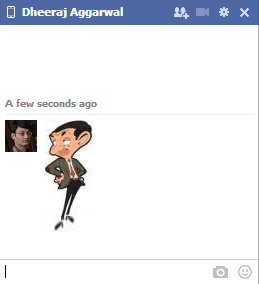 So I am sharing five new codes for different Mr Bean cartoon poses that can be sent within the Facebook chat. Just copy the whole code from the files and paste in the Facebook chat box. NOTE These codes can stop working anytime. Just leave a comment if any of them fails to work. 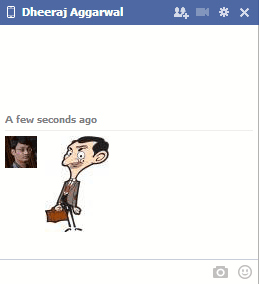 Mr.bean is so funny and dumb why don’t you just have a new movie.